This is a cabinet card photograph of musician and illustrator Henry Worrall of Topeka, Kansas. 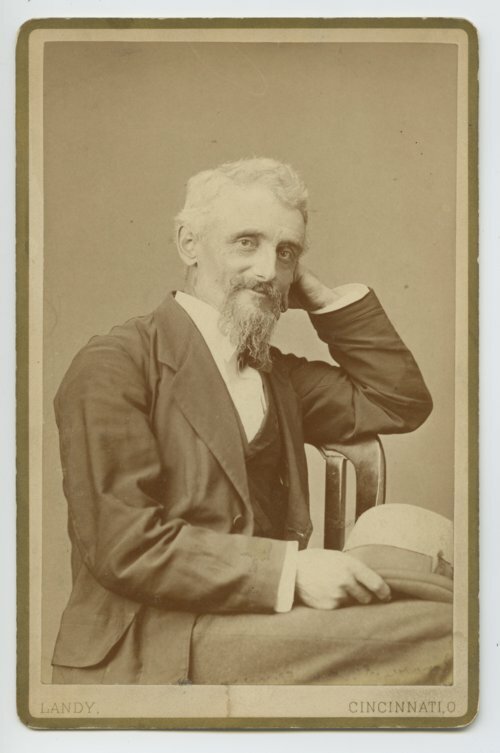 Presumably, Worrall sat for this photo in the studio of James Landy in Cincinnati, Ohio, where Worrall formerly lived. The photo was likely taken in the 1870s sometime after 1873. The back of the photograph is inscribed by Landy as follows: "Compliments of your friend J Landy."